I think theyre just cool in general, though it's another pack of something I need to spend money on. I really like the three different rare pieces. I think it's a pretty cool product. I hope that in series two (if their is a series two)that they focus on running backs. 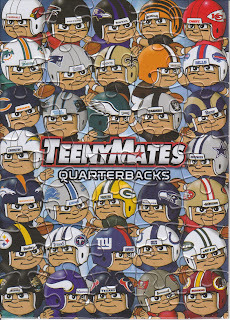 It would be cool if they had a series three wide receiver set and a series four that would be the o-linemen and d-linemen and specialists series. Their might not be much of a market for that though. 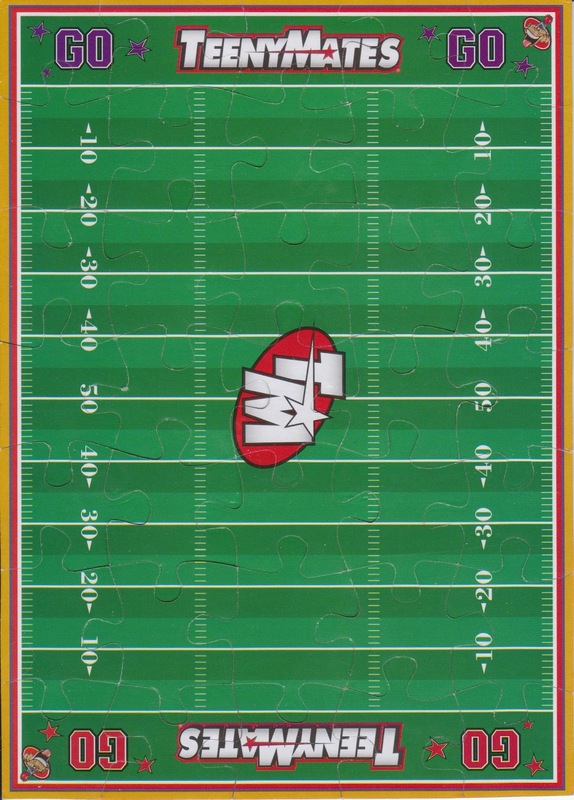 The puzzle pieces and the football field is nice. 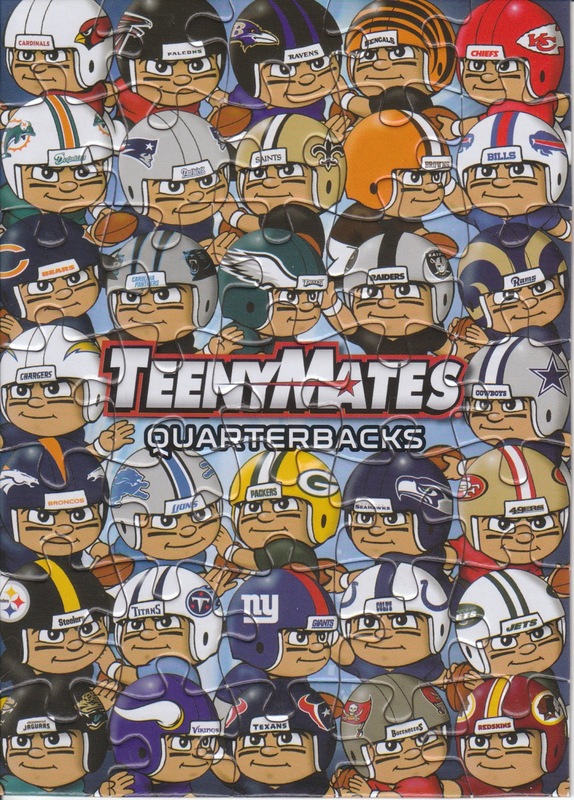 I can see kids playing nfl games using the football field and teenymates. As a Lego collector, I can't help but like the minifigures! I enjoyed the SportsClix set by Topps a few years back - so I could see enjoying this set as well. I think the fact that the figures have the correct logos really makes the product worthwhile. Those are cool. I would really like if they had NCAA ones. But the Broncos one is pretty cool. I'm not a huge football fan but those are cool little figures ! 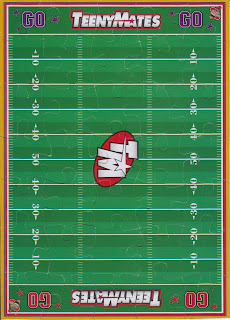 I like Josh's idea of making NCAA versions.I know my son would love a BGSU if they ever do MAC teams.I like the football field puzzle, seems like a good way to display the figures. I like them, a fun little collectible plus I enjoy puzzle so that's a nice touch too. The size is good since they don't take up much space.